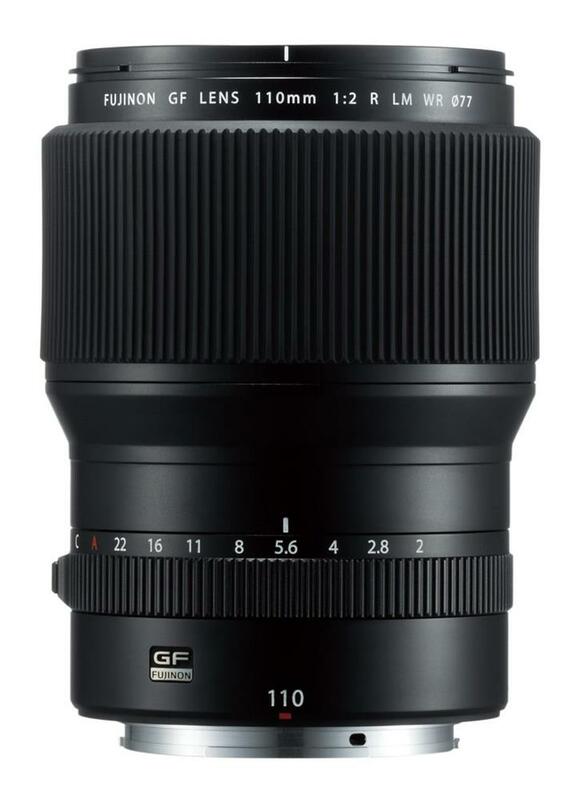 The FUJINON GF110mmF2 R LM WR is a medium telephoto lens with a focal length equivalent to 87mm in the 35mm format. It offers fantastic bokeh thanks to its large F2 aperture, making it the perfect portrait lens and is specifically designed for the new G Mount and 43.8 X 32.9mm sensor. The GF lens range, which can cope with resolutions up to 100MP, combines the latest technologies with extensive knowledge accumulated from making XF lenses to deliver the best possible image quality and realize the full potential of the new GFX 50S medium format mirrorless camera. The intuitive controls include a C position on the aperture ring, which allows you to adjust the aperture value with the command dial on the camera body. The A (Auto) and C positions are now lockable. The GF110mm lens is weather and dust resistant and can work in temperatures as low as -10 degrees C for worry-free shooting outdoors. This medium telephoto lens with a focal length equivalent to 87mm in the 35mm format offers fantastic bokeh thanks to its large F2 aperture, making it the perfect portrait lens. Using four ED lens elements, this high image quality lens limits chromatic aberrations by arranging the elements in a well-balanced manner before and after the aperture. By adopting an inner focusing AF system for the optimal configuration, aberration fluctuations due to changes in shooting distance are suppressed. The lens has been sealed in nine areas, allowing you to shoot with stability even in dusty environments and in light rain outdoors.